(water gives them a nice soft landing). 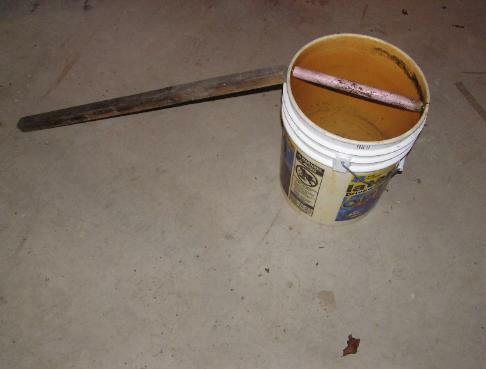 bucket, a dowel, two screws and long board to act as an access to the top of the bucket. The cost of this trap should be nearly nothing. scoop the dead mice out of the water and discard them. they built several to use in the factory and around the farm. Build this trap you will not be disappointed. explanation here it is...Cut the dowel to fit across the diameter of the mouth of the bucket. bucket to allow the mice to walk from the floor to the top of the bucket.